The title of this article comes from a poignant piece written by Archbishop Desmond Tutu when asked to comment upon assisted dying or on what is commonly known as ‘euthanasia’. The views of the Archbishop come in the background of the ongoing vociferous debate in the House of Lords on Lord Falconer's assisted dying bill. In a nutshell, Lord Falconer’s proposed legislation would make it legal for a doctor to hand over a lethal medication to a terminally ill patient who is believed to have less than six months to live. It further seeks to evolve a legal mechanism over an issue which has consistently been put to scrutiny and discussion over the course of time and yet has failed to evoke a consistent response/reaction from the community at large. 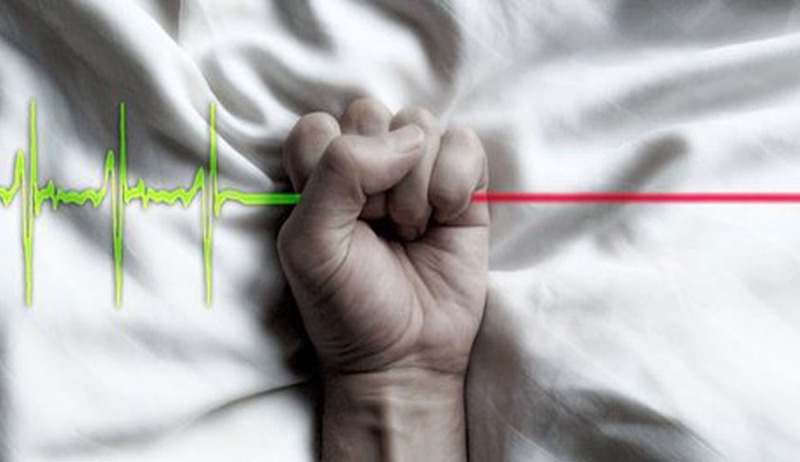 Euthanasia is the intentional premature termination of another person’s life either by direct intervention (active euthanasia) or by withholding life-prolonging measures and resources (passive euthanasia), either at the express or implied request of that person (voluntary euthanasia), or in the absence of such approval (non-voluntary euthanasia). It is non-voluntary euthanasia that has forever been the primary reason to oppose mercy killing as opponents of the idea have regularly said (and rightfully so, if I may add) that mercy and killing do not go together, no matter what the circumstances. They further cite religion as a source to support their theory which espouses the line of thought on life being a gift from God, is sacred in nature and He alone possesses the right to extinguish it. In the thirteenth century, Saint Thomas Aquinas, a renowned Catholic Theologian and philosopher, condemned suicide as wrong because it contravenes one's duty to oneself and because it violates God's authority over life, which is God's gift. Such opinions emanating from the ages have deeply impacted the modern day views of individuals opposing mercy killing and equating it to medical termination of pregnancy; the underlying principle being that both involve voluntary ending of life and should not be left to the whims and fancies of the individual preferring such an option. The moving tale of Aruna Ramchandra Shanbaug, a staff nurse at K.E.M Hospital of Bombay, grabbed national headlines when on the eve of 27th November 1973, she was brutally raped by a sweeper in the hospital who wrapped a dog chain around her neck and yanked her back with it. A gruesome act of this nature ensured that Shanbaug suffered irreversible brain damage as the supply of oxygen to the brain stopped. Medical inspection further indicated damage to the cortex and some other part of the brain. Resultantly, Shanbaug lost her ability to see, hear or feel anything and such has been her state for the past 39 years now. She slipped into PVS or persistent vegetative state and is practically a dead person having no state of awareness, with her brain being virtually dead. The petition before the Apex Court was preferred by Ms. Pinki Virani who had documented Aruna’s life in a book and was following her case history since 1980. Her prayer before the Apex Court was to allow Aruna to die peacefully by ordering for cessation of medical care extended to her by the doctors and staff at KEM Hospital. However, the counsel for the hospital was unequivocal in denying death to Aruna on behest of the Court and elucidated various instances wherein the patient communicated in gestures her aversion/interest to certain foods, sounds and people which only went on to suggest that there existed life within her and by allowing for euthanasia to be administered, the Hon’ble Court would order for termination of life and thereby set a dangerous precedent for all critically ill patients. b) A committee of three reputed doctors from a panel constituted by the High Court in consultation with the state government will examine the patient and submit its report to the High Court Bench. c) Notices will be issued to all those concerned with the doctor’s report attached. d) After hearing everyone, the bench will give its verdict. The matter must be dealt with speedily as delays prolong the agony of the patient. 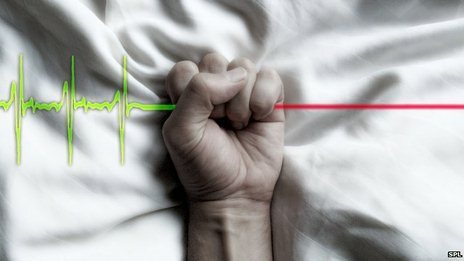 In a more recent development to this issue, the Apex Court on Wednesday issued notice to all States and Union territories on a plea for legalizing passive euthanasia. A constitution bench headed by Chief Justice RM Lodha, Justice JS Khehar, Justice J. Chelameswar, Justice AK Sikri and Justice Rohinton Fali Nariman issued the notice on a plea filed with it, stating that the question of passive euthanasia (mercy killing) needs a comprehensive examination as there was no authoritative judicial pronouncement on the issue. It also appointed former Solicitor General TR Andhyarujina as amicus curiae to assist it in the case relating to legalizing euthanasia. The matter came up in the background of a plea filed by an NGO Common Cause that a person, who is afflicted with a terminal disease, should be relieved from agony by withdrawing any artificial medical support provided to him. The most difficult aspect in supporting non-voluntary euthanasia stems from the pertinent question as to who possesses the moral authority to take a call on a decision as impactful and huge as the one favoring death over life. Clearly, the patient is not in a state to decide whether he wants to continue with treatment and medication as he is incapacitated from making judgments on his own health. So then who would be competent enough to decide that the patient should much rather be ensconced in the throes of death than waiting for the inevitable recovery of not just the body but also the mind? And mainly, is the medically irreparable nature of wounds the sole reason to prefer assisted death or should there be other emotional considerations such as ending of the patient’s agony etc? All these questions continue to plague us as we deliberate and discuss that whether the right to life should also include within its ambit the right to die. However the truth is that there can never be easy answers to any of these questions especially if it involves a loved one. What maybe a purely professional decision for the doctor who decides to cease administering of life support, would be an entirely emotional assessment for the father whose son would be lying motionless on the hospital bed but who will continue to harbor hopes for his son’s miraculous recovery someday. Undoubtedly, the moral conflicts and ethical complexities are multifold whenever any opinion on mercy killing is sought for and precisely because of this reason, a legislation in this regard which expressly demarcates as to what is acceptable as standard medical procedure to alleviate the suffering of the patient and his family , is necessary. A consensus among the treating physician as well as the immediate family of the patient is extremely essential before reaching a decision to extinguish a life. Every individual has the right to a dignified life and a wholesome life. If by an unfortunate turn of events, he/she is deprived of that right and is rendered ‘invalid’, he should also have the right to end a life which is soldiering on only due to dependence on others. Desmond Tutu put it succinctly when he wrote in support of assisted death saying, "People should die a decent death. For me that means having had the conversations with those I have crossed with in life and being at peace. It means being able to say goodbye to loved ones – if possible, at home." Prolonging a life which has reached a point of no return, through machines is purely agonizing and nothing more. For the patient as well as his loved ones. As they often say, ‘Hope in reality is the worst of all evils because it prolongs the torments of man.’ Truer words have not been spoken!